The Lazarevskoe District Court of Sochi has re-examined the case on holding a prayer on the Adygs’ Remembrance Day and upheld the administrative fine imposed on Ruslan Gvashev, a Circassian activist. The judgement will be appealed against, as the court has violated the activist's right to defence, said Marina Dubrovina, a Gvashev's advocate. 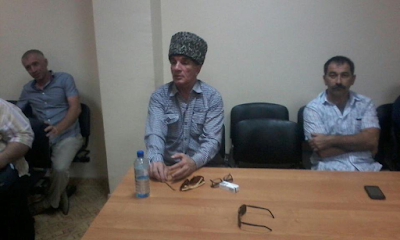 The "Caucasian Knot" has reported that on June 2, the Lazarevskoe District Court of Sochi found Ruslan Gvashev, the former chairman of the Council of Elders of Circassians-Shapsugs, guilty of organizing an unsanctioned action on the Day of Adygs' Memory – a prayer service near the Tulip Tree, and fined him by 10,000 roubles. After that, Mr Gvashev expressed his disagreement with the judgement and appealed against it at the Krasnodar Territorial Court. On August 2, the Krasnodar Territorial Court pronounced the decision to return the case to the Lazarevskoe District Court for reconsideration because of multiple violations. Advocate Ms Dubrovina had duly notified Lazarevskoe District Court about her departure and asked to schedule the session for another date, but the court refused to grant this petition; therefore, the new trial was held with the participation of an appointed advocate, said Ruslan Gvashev. "An advocate was appointed to me and given 15 minutes to get acquainted with the case. At the session, he refused to defend me, saying that he did know all the nuances of the case and adding that I already had an advocate. He said that the judge was breaching my right to defence," Ruslan Gvashevtold the "Caucasian Knot" correspondent. The activist has noted that the court gave him a chance to tell his version of events, but it has not affected the judgement, same as the words of the policeman, who spoke at the session. "The district policeman of the settlement of Golovinka, who had documented my alleged offence, said at the session that there was no offence. He said that his commander and the FSB supervisor had ordered him to punish Gvashev," said Ruslan. Marina Dubrovina has stated that, after her return to the Krasnodar Territory, she will appeal against the judgement. 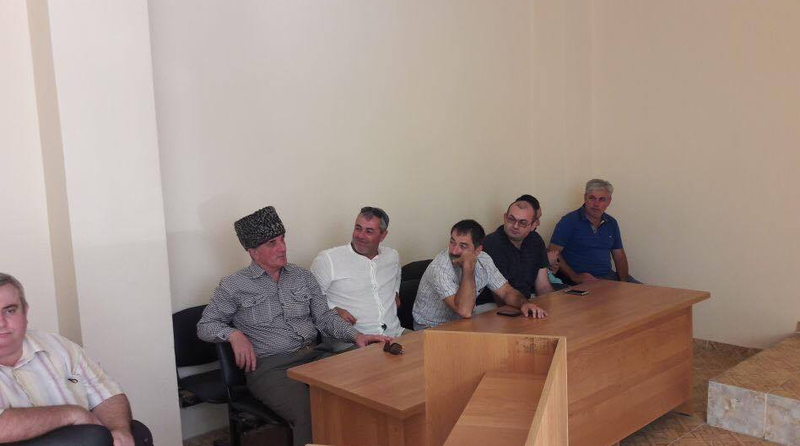 Court cancels fine imposed on Circassian activist Ruslan Gvashev, Circassian activist Ruslan Gvashev discharged from hospital, Ruslan Gvashev hospitalized with suspected heart attack.